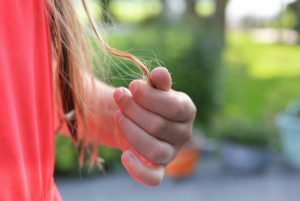 There are many causes of hair loss in women, this section highlights just a few common reasons. In some cases understanding the cause is difficult, so we always suggest a blood test with your doctors to make sure that in the first instance there is no medical underlying factor that has gone undiagnosed. Genetics - a genetic predisposition of hormonal balances and imbalances, along with the conversion of testosterone into dihydrotestosterone (DHT), is a leading cause of hair loss. This imbalance affects women as well as men and can be inherited by either your mother or your father’s side of the family. Stress or Trauma - stress produces increased levels of testosterone, which converts to DHT interrupting the hair growth cycle. Stress and trauma can also constrict the blood supply to the capillaries, and prevent nutrition spreading easily to the hair follicles. Poor nutrition - can contribute to hair loss, rapid weight loss, deficiencies in biotin, iron, protein and zinc can reduce vital vitamin absorption needed for hair growth hence why we recommend a doctor's evaluation. Health and medication - thyroid diseases, as well as the side effects of the medications used to treat these diseases contribute to thinning hair. Many medications have the side effects of thinning hair so please see whether there has been a correlation. Environmental pollutants - in the air and water, can lead to hormonal imbalances that can contribute to hair loss. Including sun damage to the scalp. Pregnancy – huge Hormonal changes happen during pregnancy and this can lead to temporary hair loss lastly from six months to up to a year after childbirth. This usually self regulates itself after the hormones rebalance. Ageing - unfortunately, as we age, our follicles can deteriorate and cause hair loss, including menopause.